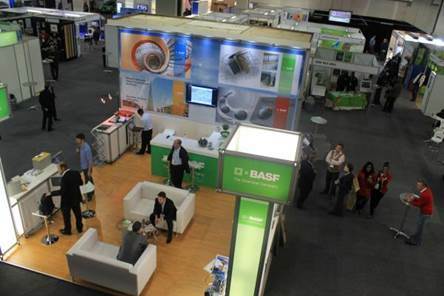 Another stellar line-up of conferences, seminars and public lectures took place at this year’s Sustainability Week (17 to 19 June 2014), at the CSIR International Convention Centre in Pretoria. This was a green event with a difference for several reasons. Firstly the organising company “alive to green” based in Cape Town headed by Gordon Brown, an environmentalist, was able to chair sessions in a far more lively fashion highlighting local environmental issues and bringing much-needed lively debate to what can otherwise be very dry sessions at similar events. 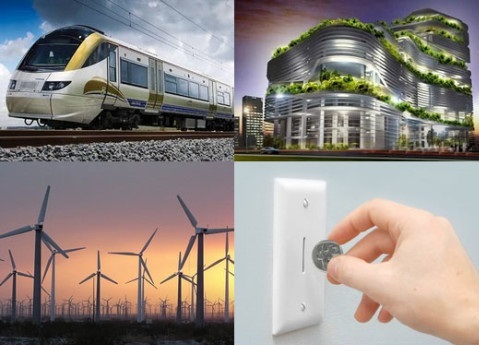 The conference encompassed various issues such as green building, sustainable cities and communities, zero waste vision, sustainable energy, water resources, transport, food security along with responsible tourism and green business with a breakout session on clean tech incubation from the Climate Innovation Centre based in Pretoria. This reporter was run off his feet for the four-day programme just to visit as many of the sessions as possible and keep up-to-date on all the good work going on in South Africa. 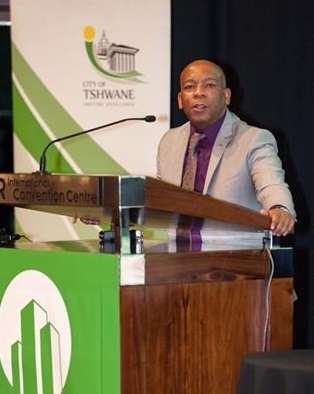 Sustainability Week, sponsored by the city of Tshwane, was used to highlight the municipality’s 2050 aims and objectives to become the greenest municipality in the country. The opening speech at the green building conference was delivered by Elizabeth Farrelly, a Sydney-based columnist, who addressed architecture in the cities. Elizabeth spoke of including beauty in architecture as a central tenant of green building and not something to be embarrassed about. “Beauty needs to be on the forefront of architecture in cities – understanding that Streets and public spaces are in fact part of the architecture and not just focus on buildings but actually the space around the buildings”. Her speech touched on the concept of cities as living entities with the potential to be “the greenest of spaces – pavements can be lined with orchards with food and vines, compact living can provide residents with a walking lifestyle, with work, recreation and entertainment readily available without the need for heavy reliance on fossil fuels”. In short “cities are the drivers of change”. High-density living need not be associated with a substandard lifestyle – in fact quite the opposite. Readers will be happy to know that African municipal waste dumps are now being viewed as resources. Very soon most of our dumps will be used to harvest energy to feed back into the grid to power our lifestyles. Recycling is creating thousands of jobs across the country and the government is becoming more involved to ensure that pickers or the “trolley brigade” are better re-numerated and the industry as a whole is better regulated. In the transport sector there are exciting inroads being made to decongest our city centres. Light train rails are to be linked to taxi services with moves afoot to remove some of the taxis from the road and regulate the industry combined with increased bus transport. One of the most promising projects called Cycology aims to introduce electric bicycles. Municipalities are increasingly demarcating cycle lanes making it viable for electric bicycles to become part and parcel of all metropolitan lifestyles. South Africa is the 19th largest user of energy worldwide, mostly due to motor vehicle transportation. A small drop in motorised transport or efficiency in public transport sectors can make a big difference to the country’s economy and our monthly budgets. Green businesses could soon create hundreds of thousands of green jobs. There are many opportunities in installing solar panels and solar water systems to South Africa’s abundant sun-drenched roofs. There was a large attendance of corporates, including Nedbank, discussing how best to kick start a green jobs revolution. Green Talent is a 10 week course training potential entrepreneurs how to go about starting and managing a sustainable green business. 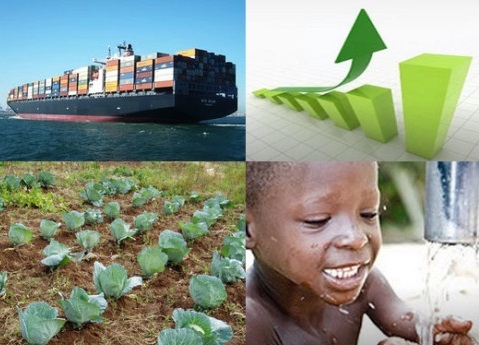 The green economy is sure to become a driver of South Africa’s GDP. I do hope the government will continue to put its money where its mouth is. There was a lot of interest in the responsible tourism sector, with a particularly interesting talk on urban farming by Rehann Calitz called, “farm my city”. Another talk full of insights by Dr Merida Routs who runs rural development programs around Kokstad KZN highlighted many success stories and pointed out pitfalls for those wishing to get involved in these type of projects. A particularly heartwarming story was told by Lez Carlyle at the Beyond Group. This group has been intensively engaged with communities around its game farms for over 15 years. Because of their success at community projects, the community acts as a safety net around the parks, blowing the whistle on poachers long before they enter the park. This company is in a position to translocate 100 rhinos to Botswana because they have been so successful in both rhino breeding and community programs. It’s a perfect example of how conservation and communities can benefit from well-managed programs. Let’s hope the motto of the conference “get ready to put ideas in motion” is carried through. Crosby Menzies for the Green Times, Johannesburg.